All building materials are not created equal. Ever wonder why there can be such a difference in quoted prices between contractors? Material quality could be one reason. Offshore hardware (hinges, screws, nails) is cheaper but doesn’t always meet Canadian safety or building standards; and, the quality of the metals are often softer than those manufactured by North American companies. Wood products are generally sourced from North American suppliers but there’s a lot of off-shore options now, such as plywoods, that just don’t hold up well over time. There’s also grey-market products – materials that have come ‘off the back of a truck’ where there’s no traceability, guarantees or warrantees. It’s your property and it’s your family’s safety at risk, here, so always ask where materials are coming from – make sure they’re manufactured by a reputable firm with an outstanding track record for quality and reliability. When reviewing proposals, it’s an absolute necessity to spec out what materials are going to be used and that your contractor provide proof as such as part of the contract – have him show you the receipts and the supplier labels on the packaging for proof before you pay. If they give you grief over, “interfering” or “not letting them do their job as professionals” then consider another contractor! All that said, you do have to trust their experience in recommending materials. Do your homework and read up on things you may not be familiar about – the internet is filled with great stories and reviews on just about everything. BUT, do all of this BEFORE the project begins – once the contract is signed then let the pros get on with what they do best. Wood is wood but some wood works better inside than outside. For example, cedar has a natural resistance to moisture, fungus and molds. It works very well for deck and fencing applications. Every day construction-grade studs and joists are usually spruce which quickly absorbs moisture which leads to fungus and mold. Pressure treating this wood impregnates a preservative throughout its fibrous structure making it virtually impenetrable to moisture. 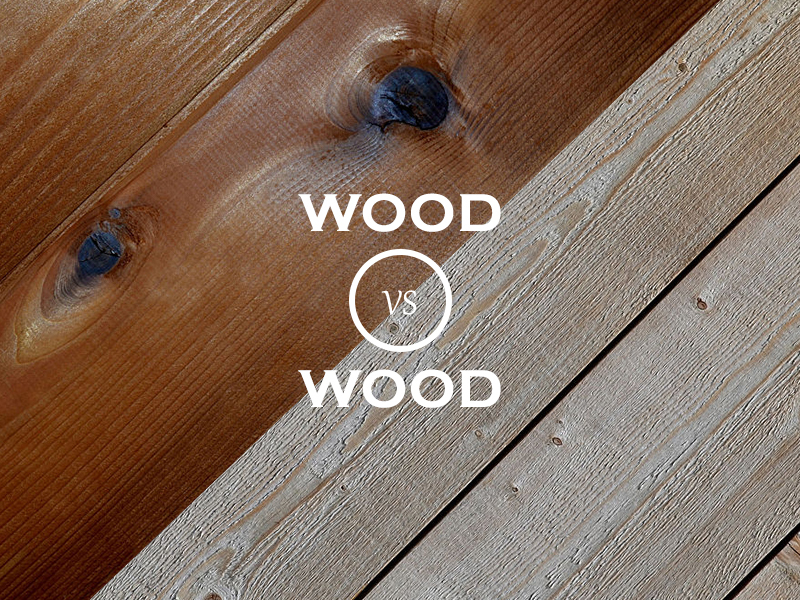 BUT, over time the wood will breakdown with regular wear and tear – it’s not a perfect solution. 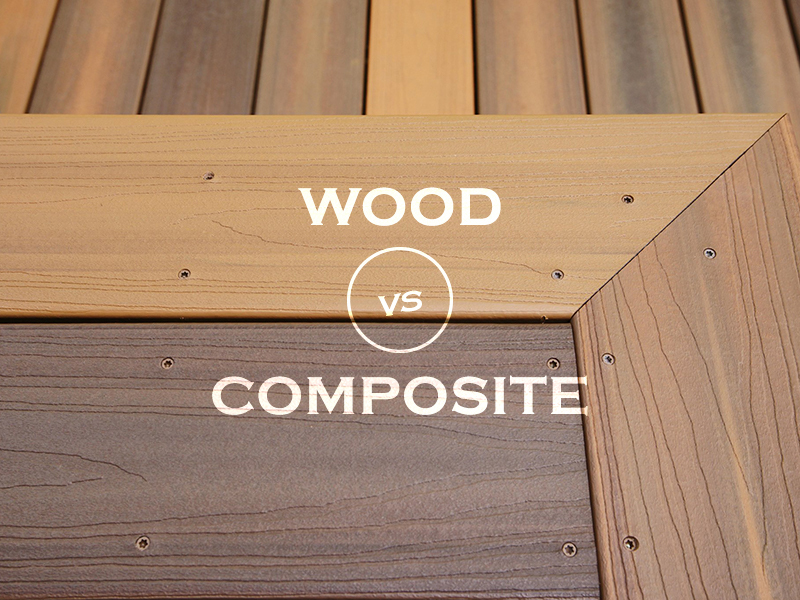 Over the last decade, ‘plastic’ wood has become a very reliable construction product. In its early years the material was inconsistent for color and often expanded and contracted rather unpredictably. But, today, it’s used in decks, furniture and outside tables in parks, at restaurants and in industrial facilities. Quality composites have built-in UV stabilizers to protect it from discoloring under the sun and there’s often a pulp-based filler that helps add a bit of surface traction while keeping it cooler on the surface. Plastic Acrylic panels are about 15-20 times more resistant to impact than glass. In many cases it offers greater see-through clarity than glass and you can find just about any color you need from a reputable distributor. 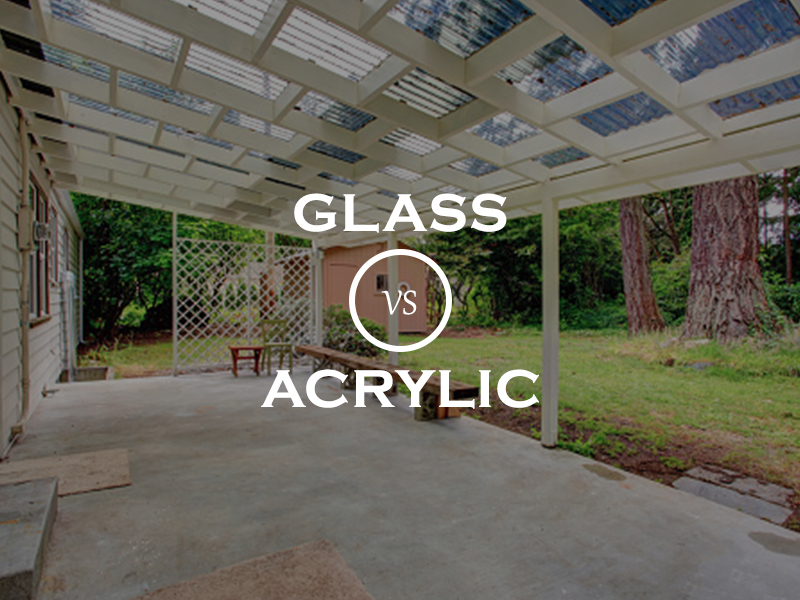 And, at about 25% of the weight or less, it requires less structure to support than glass. The caveat, though, is cleaning it – only use soap and water. Chemical-based cleaners will attack the molecular structure causing hazing and structural weakness. Nails are used in just about all framing and structural applications. In fact, most code books are designed with nails in mind and have specific requirements and patterns for different applications. Normal wood screws won’t meet code specs because they’re not rated for structural use. Standard screws are brittle and not designed for outside applications, especially when they’re constantly under attack by moisture. If you whack a screw on the side it generally shears off whereas a nail will bend. 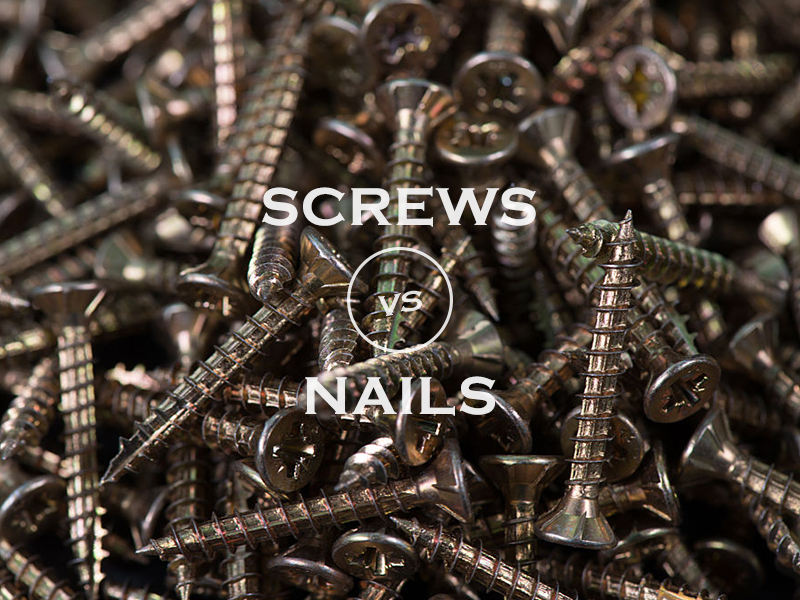 Structural screws, on the other hand, are made from a stronger steel and heat-treated for maximum strength. They often have a protective coating added to help stave off the elements. An experienced contractor who has studied building codes and has more than a few decks under his belt will know when to use what hardware to ensure that the job is done properly and will last a lifetime. Decks n’Stuff has delivered over 3,000 finished projects. We recommend only those materials that will deliver a finished product that not only meets and often exceeds building codes but, adds value to your property and leisure lifestyle – now, and for years to come.